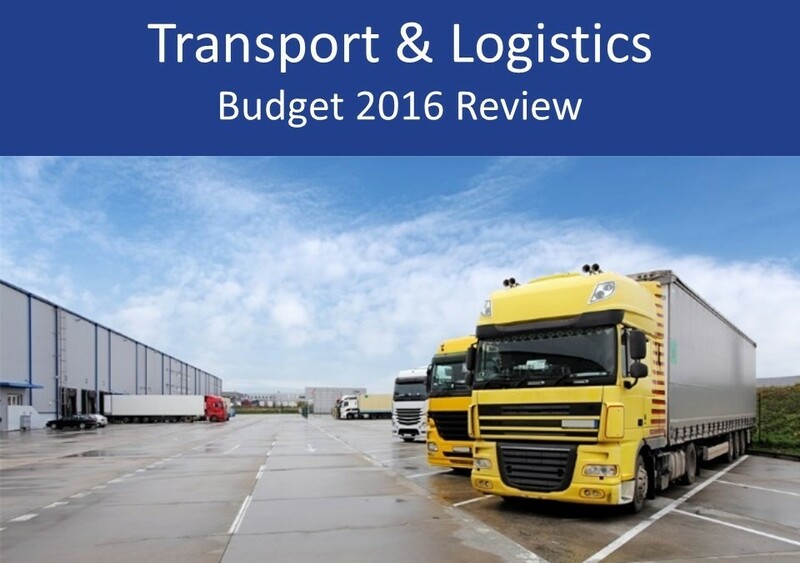 In this transport and logistics 2016 Budget review we summarise the key points and developments arising from the 2016 Budget and focus specifically on what the changes may mean for the transport and logistics sector. In the lead up to the 2016 Budget there was strong speculation that the Chancellor would look to increase fuel duty for the first time in four years. However, this was not proven to be the case. The fuel duty freeze will be extended for another year, taking it to 6 years at the current rate at the end of 2016/17. The Chancellor confirmed the backing of two major rail projects in a package to boost transport links, as was reported the day before the 2016 Budget. The big transport funding boost for the sector included number of projects. One is the start of investigatory work on building HS3, an east-west railway across the north of England, with the first section running under the Pennines to provide a faster railway between Leeds and Manchester. Ultimately, the travel time could come down to 30 minutes. The scheme is expected to include a combination of new build and upgrades of existing railways, and eventually extend right across the north from Liverpool in the west to Hull in the east. The Chancellor also announced further investment for road infrastructures, committing more than £230m for road improvements – including the delivery of a four-lane M62. The Chancellor announced in his 2015 Budget that Seven Bridge tolls for cars and vans were to be cut to £5.40 in 2018; however, he has now gone one step further and, subject to consultation, tolls will halve. The current charge – only paid by vehicles travelling from England into Wales – is £6.60 for cars, £13.20 for vans and £19.80 for lorries and buses. Further details are likely to be announced in due course. Corporation tax rates were once again cut by the Chancellor in the 2016 Budget, which will of course bring tax opportunities for transport and logistics firms. The tax rate currently stands at 20% and was proposed to fall to 18% by 2020 (announced in the 2015 Budget), but will now fall to 17%. 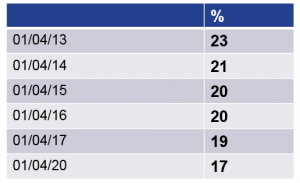 The below table shows have corporation tax rates have been on a downward trend in recent years. A reduction in corporation tax rates will likely have a knock-on effect on business confidence. The Chancellor announced a progressive approach to business rates, with the business rate relief for small businesses more than doubling from £6,000 to £15,000. This increase to the annual limit will exempt nearly thousands of small businesses, with 250,000 businesses paying less in business rates. Sage data shows that, prior to the 2016 Budget, more than one in three UK small businesses said that reforming business rates would have the biggest impact in transforming their company. This is a big boost for small businesses and particularly for retailers, who argue that, in the digital age, those who have bigger physical presences (than those with big online presences) are taxed unfairly and competitively.